NRA Annual Meeting Show in Kansas City 2002. 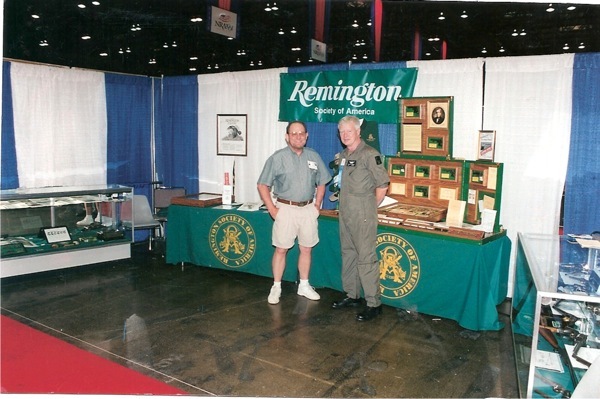 Remington advertising, with NRA Collectors Committee representative. Bob’s one-man show represented the Remington Society at this NRA annual event.